When we bought our house it had a huge backyard and we were excited about putting in a garden. There happened to be a local gardening class that gave us information about where to put our garden, what will grow, and how to mulch. Their recommendation was to cover the area you want to use as a garden with cardboard. Hubby watering the cardboard. It helps make it less slick to walk on, and also easier to cut through if you are planting right away. Their goal in gardening was to teach us an organic, no till, weed-free way of gardening. The cardboard helped with all of that. 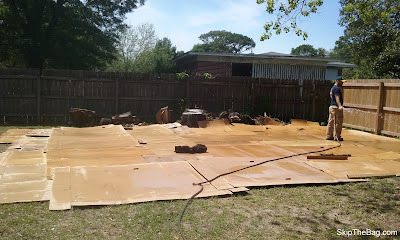 The cardboard was an easy way to help cover and kill a lot of ground cover and weeds. The cardboard will not allow the sunlight to pass and thus deprive the grass and weeds of nutrition leading to their death. 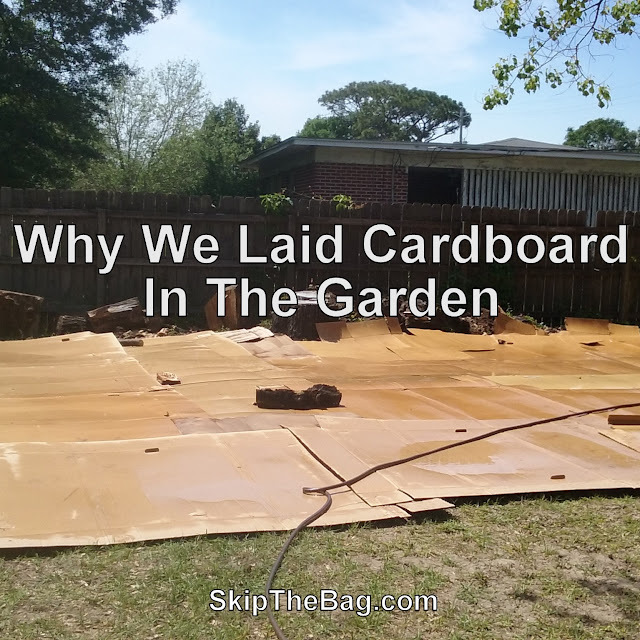 The cardboard is easy to cut through so you can easily plant in it and it will eventually biodegrade adding to the garden. You want to have large pieces of cardboard that are plain (without a lot of colors or designs). Mattress boxes, especially tempur-pedic boxes, are the best at covering large areas. You want to make sure that holes and cracks are covered up because plants and weeds are tenacious. After laying the cardboard we added mulch and started our garden. We put hay on the garden rows and wood chips on the pathways. We were able to get a load of wood chips delivered to our yard for free from a local tree company. We had gone to their store before and picked up trailer fulls, but it was far more convenient and we got a ton more by having them delivering it. Call around to local tree companies they may do this in your area too! We put in each row separately. You can see we put in and planted the first row and had just finished the second. After we put a layer of wood chips down on the cardboard we still had a ton left. So we laid some extra cardboard down and made a path of sorts along the edge of the house running from the backdoor to the garden. We also put some around the chicken coop and mulched along the driveway. Yes we got THAT much mulch from the tree company. So how well does the cardboard work? Pretty well! We only have two kinds of weeds in the garden and they both are pretty tenacious, but easy to pick. Each kind has an extensive root system which allows them to get nutrients and spread over a large area. If we weren't participating in the ultra lazy form of gardening we probably could have kept it at bay some more too. We should have probably been adding more mulch roughly each quarter. We did a little bit better about adding hay to the growing rows, but didn't really do much to the paths. It also wouldn't have gotten so out of hand if we had kept on the weeding better either. 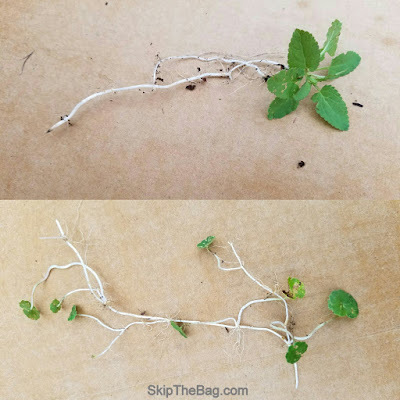 Remember both of our weeds have huge root systems so they can spread quite well, by keeping it at bay when it was only in the paths and outskirts of the garden would have kept if from getting into the growing rows. So what do we do to combat it? Add another layer of cardboard and some more mulch! We went cardboard dumpster diving and got some boxes to cover up the paths. For this, medium to large size boxes were better than mattress boxes because we didn't need to cut them to size and we didn't want to cover the growing rows. So far that's where we are at, because remember, we are ultra lazy gardeners and haven't gone to get wood chips yet. However I take comfort in knowing the weeds are still dying even if our garden doesn't look the prettiest. Would you use cardboard in your garden? I have used both cardboard and newspaper in the garden before starting beds. It works fantastically at keeping most weeds at bay. Cardboard boxes can always be found on Craig's List or Freecycle, as folks move and no longer need them and just want to pass them along. I also have had neighbors save their weekly newspapers for me, so it didn't cost a dime. The only thing I would caution folks on is to keep cardboard away from the main house, as I would worry about termites being an issue. Glad you found the benefits of no-till gardening. It really does seem to be better for Mother Earth. I've been wondering if newspaper could work, so I'm glad to see it would! Great tip about Craigslist. 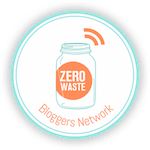 It's probably easier to go that route than dumpster diving! My whole yard has been covered in cardboard! I smothered every last bit of grass and planted edibles. 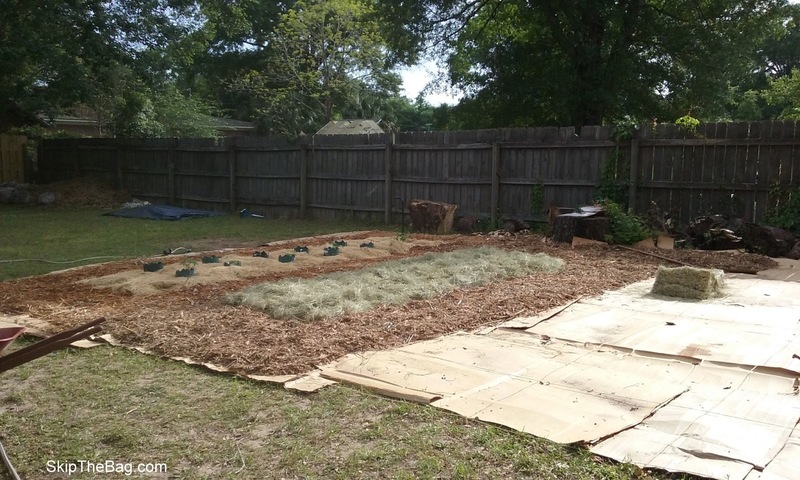 Sheet mulching is awesome -- hope your garden thrives! I'm so jealous, that sounds amazing! We have confined the garden to a corner. I don't think the puppies would like us taking away all of their yard. Yes, fruit trees can be a huge draw! We bought 2 new sofas for our gite recently and I was so pleased to see them come in cardboard boxes with NO tape or plastic - that cardboard is now covering a part of the garden I have recently manured and will be my pumpkin patch next year. Thank you! It's always a work in progress. I have used cardboard or newspapers for weed control several times. An advantage I don't think you mentioned is that earthworms love to hide under cardboard, so they will show up and live in your garden improving the soil, eventually digesting the cardboard into worm castings which are an excellent fertilizer. 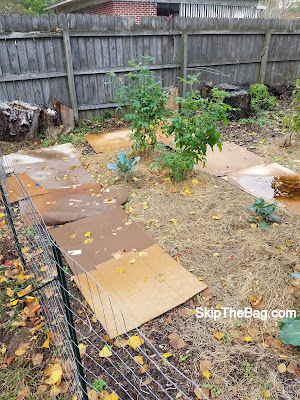 I usually put down cardboard in the fall in areas where I want better garden soil next year, heap autumn leaves on top of it, and in the spring the cardboard is about half gone due to worm feasting--and that's in the winter! Here's a nice infographic about the benefits of sheet mulching.